Ah-mazingly large back yard with pool and screened in patio NO HOA park your RV or boat in your oversized lot of nearly Â½ acre. Spacious 2342 sf house with 4 bedrooms 2 baths formal living room formal dining and family room with a gorgeous wood burning fire place. NEW ROOF 2016 NEW POOL PUMP 2016 NEW Septic Tank and Drain field 2016. FULL HOUSE SOLAR POWER save money on electric and maybe even get paid!! 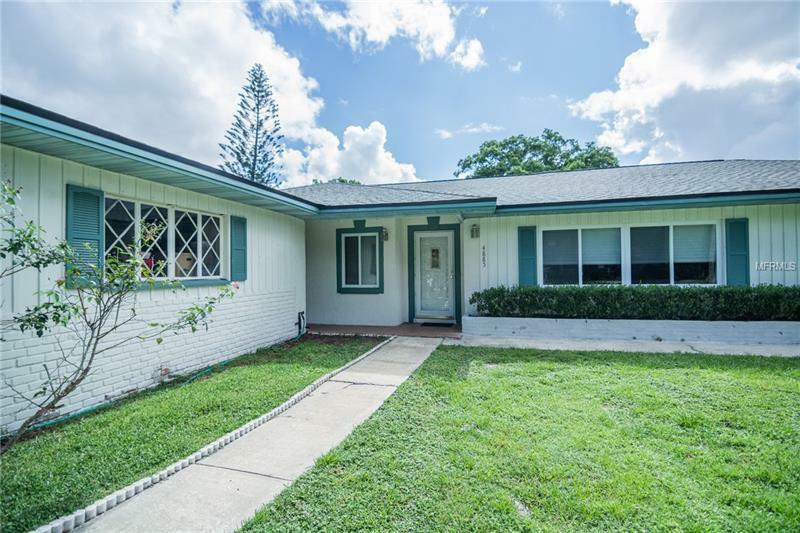 Home has been re-plumbed electric updated double pane windows Kitchen is beautifully remodeled with granite counter tops 42-inch cabinets. The family room features a pass-through window from kitchen mini fridge a beautiful fireplace and 2 sets of French doors for gorgeous view to the back yard and pool area. The 44 x 8 screened porch offers a great place to get out of the sun when you are finished swimming. There is a 6x7 walk-in pantry and a 13x16 laundry room area. Conveniently located near downtown Winter Park and Rollins College easy access to 417 and just a short drive to Oviedo Mall and Altamonte Mall. All appliances stay with the home including washer and dryer.